If you have a boss that gets angry, have you ever wondered what it means? I mean, no one is perfect. A boss has a difficult job, after all, he/she is in charge. It all falls on his/her shoulders. The responsibility of maintaining a successful business can get extremely stressful. We’ve all had days when nothing seems to go right. There are sayings like someone, “got out on the wrong side of the bed.” Probably every boss has gotten angry before. Life happens. But deep down you know that your angry boss is different. You may be dealing with a workplace bully and that’s a whole different story. One of the major characteristics of a workplace bully is recurring outbursts. With a bully, the anger becomes a weapon and is used to intimidate and frighten. A workplace bully wants you to feel dread at the explosions of anger because he/she knows it causes fear and fear can be controlled by him/her. If a workplace bully can’t control you, he/she will act as though the angry outbursts are your fault because of your stubborn selfishness. The workplace bully believes his/her anger is an asset and makes him/her strong. This way he/she doesn’t need to clarify remarks and doesn’t want to hear your side of the story. A workplace bully will rant and rave until he/she gets her way. When I first started working for the bully, the continual outbursts of anger were shocking. The mistreatment of the employees was heart wrenching. When the anger was directed toward me, I would be stunned and for a long time I tried to remain professional and courteous. But as with all abusive behavior, there comes a time when the anxiety and stress take over. I will never forget the day I had to spend in the conference room with the boss sitting next to me while we went over a document that I had drafted on a file. We came to a section that I had done differently than he was used to and I began to explain what I had done, and why. He continually interrupted me and kept talking about how he did things. After about the fourth time of being interrupted, I started to get anxious. Then he yelled at me, and I quote, “I’m not paying you to think, I’m paying you to do.” I had NEVER been treated with such disrespect and I wasn’t going to take it. I pushed my chair back and walked out. I dashed to the bathroom shaking all over. Well, I didn’t get fired. In fact, I think it made him feel good because he had gotten to me. He got a reaction. From that point on, the angry outbursts have been a regular ordeal. If your boss is exhibiting the behavior I mentioned above, there is a very good chance you are dealing with a bully. You need to decide what you can do to live a happy and secure life without fear, intimidation and threats. There are ways to cope and things that can be done. There is hope. I am hoping to get out of my situation by building a business from home. 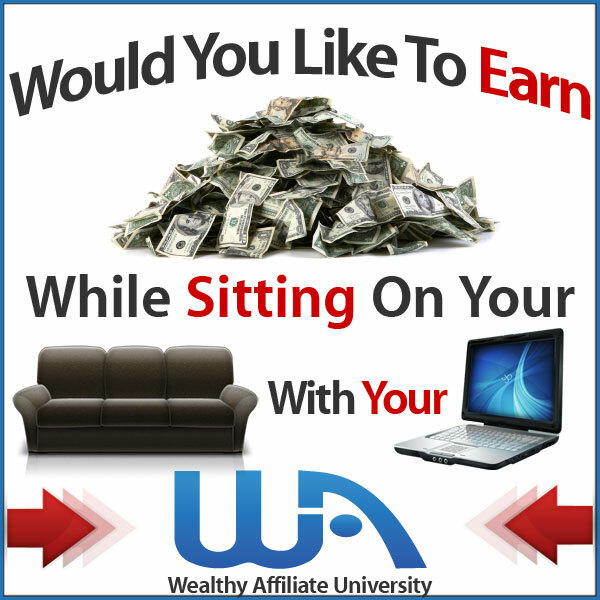 I have become a member of the Wealthy Affiliate community that is teaching me how to build websites and the platform is wonderful. Maybe you would like to work from home. It can happen. One thing I have learned though is that it doesn’t happen overnight so you will need patience and perseverance. If you can’t find another job and have to stick it out where you are, like I am, then this is a way to prepare for the future. If anyone that is reading this post is dealing with a workplace bully, then I hope you will leave a comment below. I would love to hear from you and to let you know you are not alone. I know as a supervisor myself that we can all have bad days and learning how to handle the pressures from your supervisors and then dealing with your own staff can be quite daunting. Sometimes it is best that you take a step back and breathe for a moment, as treating someone disrespectfully, provides for bad morale in the workplace. When I am having a bad day and the pressure is building I try to convey to my staff that I have deadlines that I need to make and to please be patient with me. Thanks so much for your comment Dena. You sound like a wonderful supervisor! I wish my boss/bully would think the way you do, but it seems he doesn’t want to take a step back and breathe because he thinks he loses his power if he does so. I hope more companies hire supervisors with your attitude and understanding! Oh, your article struck a chord. I encountered such a workplace bully before, and I didn’t realized it until now. After reading your article, I realized that the ex-boss I had worked with was indeed a workplace bully! She would have her favorites. And anyone else whom she did not favor, she would find ways to show her anger to on a daily basis. It was horrible. All those whom she attacked naturally hated her. And in time, all of us, including me, eventually left the organisation. And from what I heard, eventually the real boss, the top guy in the organisation found out about her behavior. And she was asked to leave. She did exit but by then I had already left the organisation. Guess it is good for those who were still under her tyranny then that she was told to leave. Hello Timotheus, thanks for reading my article. What I am discovering in this journey is that there are many people like you that just didn’t realize that they were being bullied. I think we have grown up in a society that accepts this type of behavior and we come up with all kinds of names, like mean or rude or incompetent. But the truth is there are many people out there that are struggling with being BULLIED. Plain and simple. Employees should not have to quit a job just because there is someone there that makes life miserable. It should be the other way around! I am truly sorry you had to experience this and that you left your job because of it. It is encouraging though that the higher ups finally got rid of the bully! Thank you for sharing your experience and I’m glad you are out of a terrible situation!